Art Gallery Cards: Mermaids, Vellum and a REAL Mermaid! Mermaids, Vellum and a REAL Mermaid! I hope you are well and enjoying some creative time. This past week, our classes in Cocoa and Titusville have enjoyed making these fun cards. 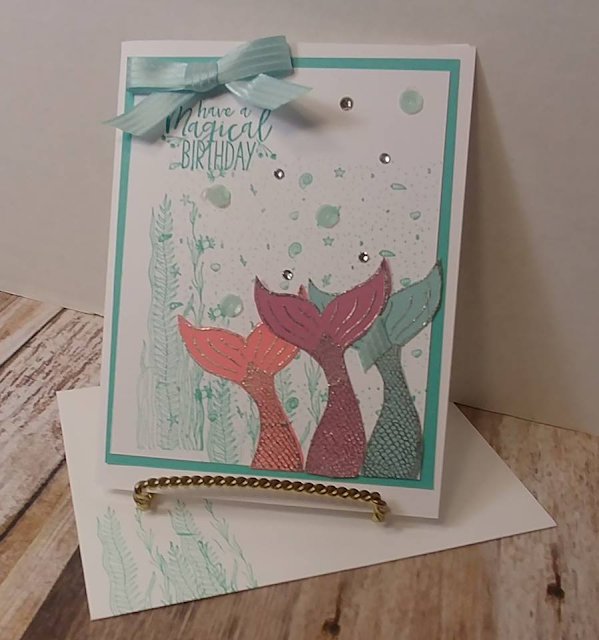 The Magical Mermaid card is one we did a year or so ago but we updated it with softer colors and a little more stamping. It's a great way to introduce students to heat embossing! 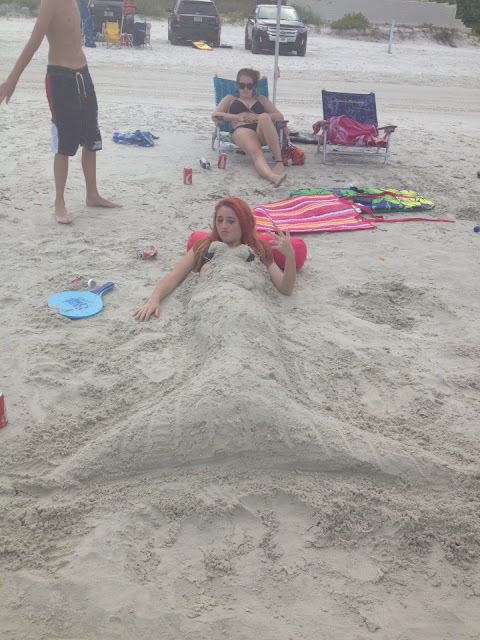 Of course I couldn't pass up the opportunity to include my little mermaid, granddaughter Emma, from a couple of years back. 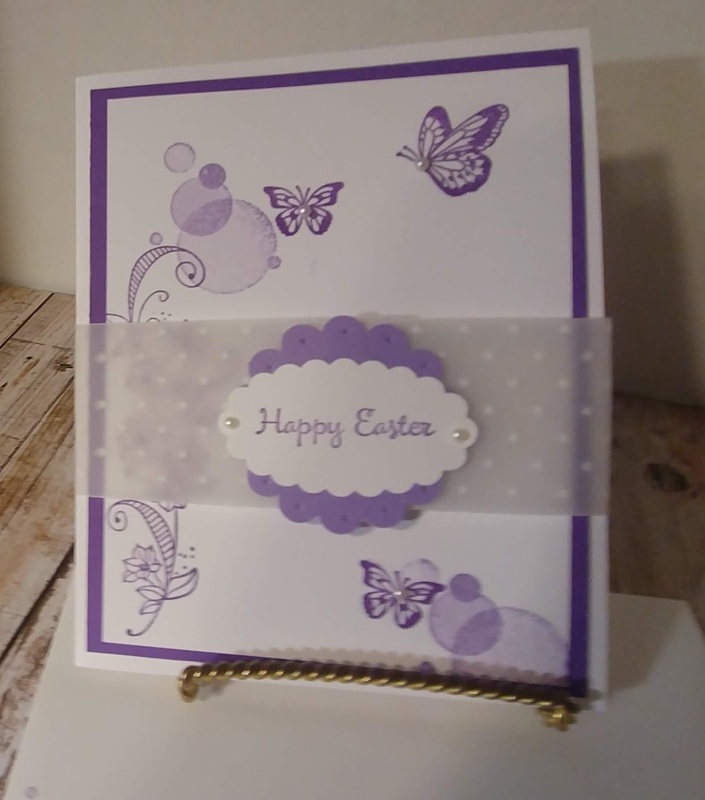 I just love this card, if I do say so myself! 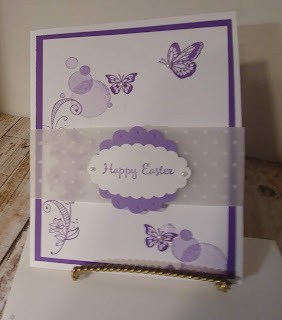 It's the Beauty Abounds stamp set and lots of Highland Heather and Gorgeous Grape inks! The belly band was inspired by a video sent to me by sweet stamper Jacqueline. This is embossed vellum and a couple of favorite retires punches! Don't forget to take advantage of the "Last Chance" sales. Say goodbye to our In-Color pretty color palette. Boo Hoo! Have a wonderful week! I'm headed to Center Stage tomorrow in Charlotte NC! Can't wait! Come and stamp with us!